American Fencers Supply has been serving the entire spectrum of American fencing for over 40 years. Weapons, uniforms, masks, bags, gloves, parts, AFS has the high-quality products you need to win on the strip or perform on the stage. Our service is the best and our product knowledge is unsurpassed. 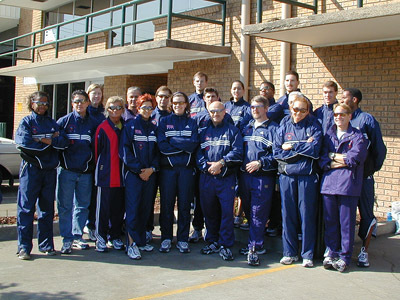 The owner, Matthew Porter, has been Armorer for over 15 US National Teams, including the 2000 US Olympic Team in Sydney Australia, the 2012 US Olympic Team in London and the 2016 Olympic Team In Rio de Janeiro. He has worked at American Fencers for over 30 years in all positions, and took over the management in 1995. We make our AFS products like we want to use them ourselves, so you can spend more time fencing and less time fixing your gear. AFS – Fencer owned and operated since 1965. Buy good stuff – fence more. !